CIT made two important moves yesterday. First, the company said it woud delay its annual report for a coupe of weeks because of the timing of its emergence from bankruptcy. The company expects to announce it lost around $900 million last quarter and $4 billion for the year. The reported losses could be lower, however, due to the cancellation of debts through the bankruptcy procedure. 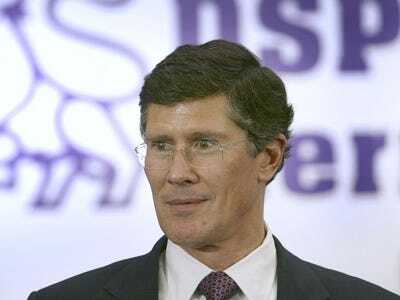 Perhaps more interestingly, CEO John Thain also made an internal announcement to employees yesterday informing them that all bonuses would be cancelled. CIT Group Inc., a commercial lender forced into bankruptcy protection last year as customers fell behind on repaying loans, said Monday that it expects to report a loss of about $900 million in the fourth quarter and about $4 billion for the year. Those numbers, however, do not include the effect of the company’s massive Chapter 11 reorganization. The company said its $4 billion loss for the year would be offset by the cancellation of debts. CIT, which is one of the nation’s largest lenders to small and mid-sized businesses, was forced into bankruptcy protection after failing to raise cash to pay off outstanding debt. CIT was also hammered by mounting loan losses as more customers fell behind on repayments. The company filed for Chapter 11 relief on Nov. 1 and emerged from bankruptcy protection on Dec. 10. CIT moved through bankruptcy proceedings in just six weeks because its key bondholders had already approved a plan to reorganize the company. CIT was scheduled to report its earnings on Monday, but said it would need until March 16 to do so because of the timing of its emergence from bankruptcy protection. In a filing with the Securities and Exchange Commission, the New York-based company estimated $4 billion in losses in 2009, including a $692 million impairment charge, higher provisions for credit losses and lower revenue from net interest. That compares with a loss of $2.9 billion in 2008, a period that included a $2.2 billion loss from a discontinued operation related to the sale of a home-lending business. CIT shares slipped 21 cents to $36.34 in after-hours trading, after advancing 12 cents to $36.55 during the regular session Monday.